Police are hunting three men who carried out “nasty, vicious and unprovoked” attacks with a baseball bat on two victims in Luton last week. 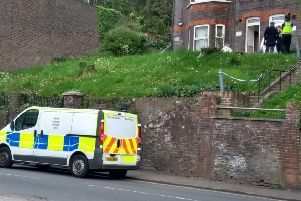 The first assault took place in Arundel Road, near the junction of Dunstable Road, on Friday April 3 at around 10pm. Three men approached the male victim and began beating him with a baseball bat, causing serious injuries to his face. Within five minutes, another man was attacked on Arundel Road close to the Wingate Road junction by a gang of three. In both incidents the men were described as Asian, in their late teens to early 20s, and were seen to use a small black car. Detective Constable Emma Morgan said: “Both attacks, which we believe could be linked, were nasty, vicious, and unprovoked. Witnesses are urged to contact DC Emma Morgan on 101, text 07786 200 011, or call Crimestoppers, anonymously, on 0800 555 111.